In the reoccurring game show “To tell the Truth”, a series of questions was asked to determine which of the contestants were real. They always ended with the phrase will the real (fill in the blank) please stand up. 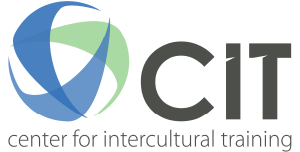 One of the questions we frequently receive is, “Why don’t you just translate the material at CIT and use it around the world?” The answer is that the material that is used at our learning center is carefully designed for North Americans. At CIT global, we hope to take that same passion for quality training and design it with the local context in mind. Recently we worked with Unidos en Mission in Mexico to take steps forward in developing cross cultural training of their own. To begin the process, we examined what a missionary from Mexico looks like. From there we can analyze what training needs to take place. We can then move on to designing, developing and implementing the training. That’s how a training center is born.